Home » Why Are Dentures Important And What Is The Procedure? 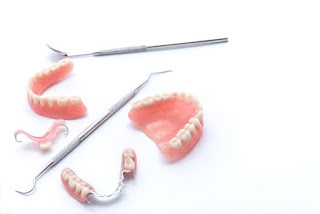 Why Are Dentures Important And What Is The Procedure? 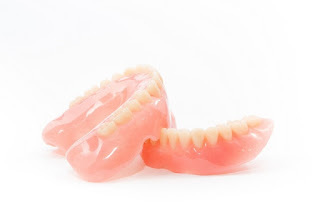 Dentures are synthetic or artificial teeth made to replace the missing teeth of a person. Though they look exactly the same as natural teeth, a person never quite feels the same as with natural teeth and takes a long time to get used to dentures. Dentures are of two types- full dentures or partial dentures. Full dentures are usually for old people who have lost their teeth due to age and need artificial teeth for speaking and eating purposes. What are dentures made up of? Previously, artificial teeth were prepared with porcelain or plastic but now dentures are made of hard resin. Nevertheless, these dentures, whether full dentures or partial dentures are more delicate than natural teeth. They can easily get damaged by getting chipped or broken. They may also wear out with passing time. 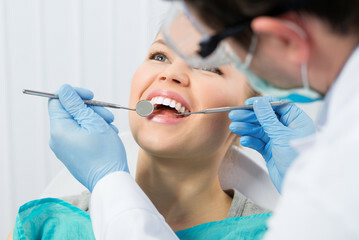 Therefore, as per the dentists it is always recommended that dentures should be replaced every five years. Patients have an option to choose between dental implants and dentures. Full dentures on come across certain problems whereas a dental implant is immune to the problems that patients with dentures come across. Dentures being more prone to problems are being neglected by patients who can afford the dental implants. However, dentures haven’t lost their spark and are still popular. Dental implants are a costly affair and not affordable for all. They help in filling the gaps left due to missing teeth. The person with dentures can smile confidently and easily. Dentures support the structure of the mouth and assist in proper speech. Dentures make difficult eating and chewing food appear normal. Those who have missing teeth but have not replaced them with dentures cannot chew their food, and therefore curbing their hunger, have to intake food in liquid form or food that is mashed. Dentures help to increase nourishment. Dentures are good for people suffering from severe tooth ache and other oral issues. Full dentures are also known as complete dentures. They involve replacing all the teeth in your mouth. They are easy to put on and then be removed. They can be mounted either on the top or the bottom gum line. They are held in place with the help of suction or an oral adhesive. What happens when full dentures are worn? When you wear a set of dentures, it will take weeks and even months to get used to them. Be mentally prepared for some issues related with eating and speaking when you are wearing your set of full dentures. You might also experience a heavy feeling in your mouth. This is nothing to be alarmed about. It means that your muscles are adjusting to this new set of teeth gradually. You may also experience saliva flowing out from your mouth, this too is normal so instead of panicking it is advisable to keep a handkerchief with you for a few months. Full dentures is a boon, indispensable for people who have lost their teeth. I am Emma Smith, an experienced and professional blogger. Here you can see my skills which give you small ideas on understanding all the thoughts with different themes. I love to write the blog on various topics, like home improvement, business, automotive, law etc. For more details follow me on Facebook and Twitter.